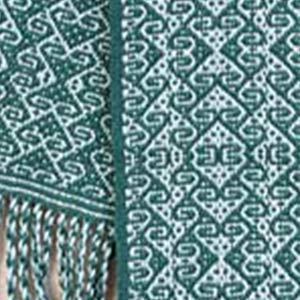 I learnt to weave 9 years ago after taking early retirement. In 2003 I took the Certificate of Achievement organised by the Association of Guilds of Weavers Spinners & Dyers, gaining a distinction. 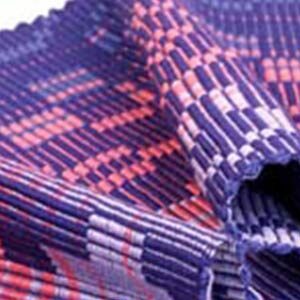 Now I am using the extensive range of work I completed as my basis to teach weaving. 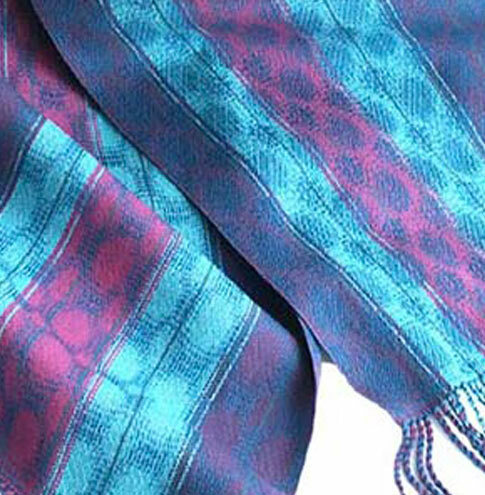 I enjoy the structure of weaving, particularly the different appearances in the cloth that can be woven on one threading and find weaving with fine threads a challenge. I have also ventured into the field of computer driven dobby looms, now owning two, and am competent using the Fiberworks computer programme. I taught at the Association’s Summer School in 2005, am a member of the Handweavers Guild of America and Complex Weavers and attend regular conferences in the USA. I am also a member of three Complex Weaver Study Groups. 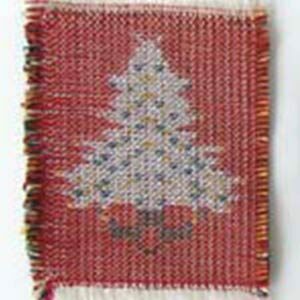 I teach courses on woven structure for weavers at the Workshop.